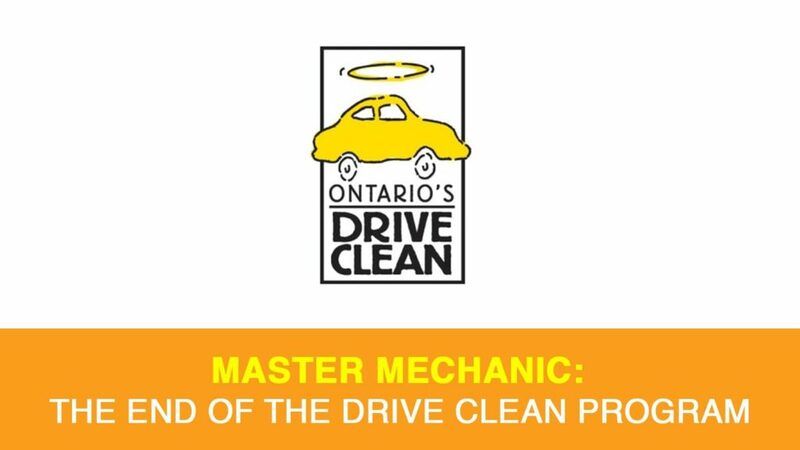 Since 1999, when it was first implemented by PC Premier Mike Harris, Master Mechanic has been participating in the Ontario Drive Clean Program. The idea was simple: to identify and repair vehicles on our roads that polluted excessively. Back in September 2018, Premier Doug Ford, Environment, Conservation and Parks Minister Rod Phillips, and Transportation Minister John Yakabuski, announced that the province’s Drive Clean vehicle emissions testing program would be coming to an end effective April 1st, 2019.This comes after the Liberal’s decision to waive the $30 program fee back in 2017. The government estimates that cancelling Drive Clean will save taxpayers upwards of $40 million every year. We caught up with a Master Mechanic to talk about the end of the Drive Clean Program, car emissions, and what’s next for Ontario’s drivers. The Drive Clean program tests emissions every two years on cars and light-duty trucks that are over seven years old, but critics have long-called for the program to be terminated. The program has been criticised since its inception because data suggested newer cars seldom fail their first Drive Clean test. In fact, many car models had a 99% pass rate on their first Drive Clean emissions test after the 7-year mark. The program also came under fire when it was revealed that they had a multi-million-dollar surplus, even though it was introduced to be a revenue neutral program. No one would argue that Drive Clean helped keep pollutants from lowering our air quality. According to the Ontario Medical Association, smog contributes to about 9,500 premature deaths each year in Ontario alone. Since it was first implemented 20 years ago, the Drive Clean program is credited with keeping 400,000 tonnes from seeping into our environment. Why is the program ending? Since 1999, a lot has changed though. Most of the older vehicles that were causing a large part the tailpipe emissions have been scrapped. The vehicles that have replaced them, emit far lower amounts of pollutants than their predecessors. Along with lower emissions has come better fuel economy. So, I don’t need to worry about emissions? Wrong! You’re not off the hook! Drivers are still be required to make sure their vehicle emissions systems are operating correctly. This means proper maintenance and repairs are still necessary and may help in avoiding more costly repairs or fines. To support this program change, the ministry will be strengthening its on-road inspections to ensure owners are properly maintaining their vehicle emissions. If you suspect your car is producing higher than average emissions, or just want to make sure everything is running smoothly, don’t hesitate to contact your local Master Mechanic today! We’re also happy to answer any questions you have about the elimination of the Ontario Drive Clean Program and what it means for you.